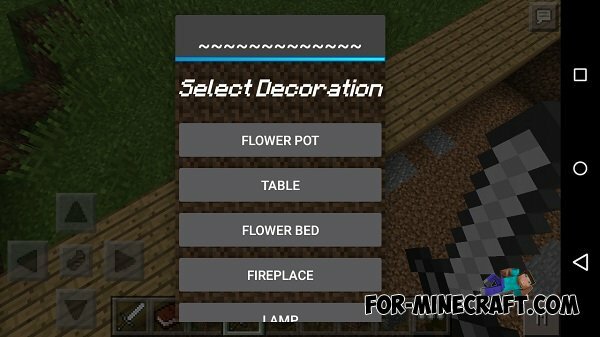 Construction Tools mod - is a mod for the creation of new structures for Minecraft PE 0.10.5. 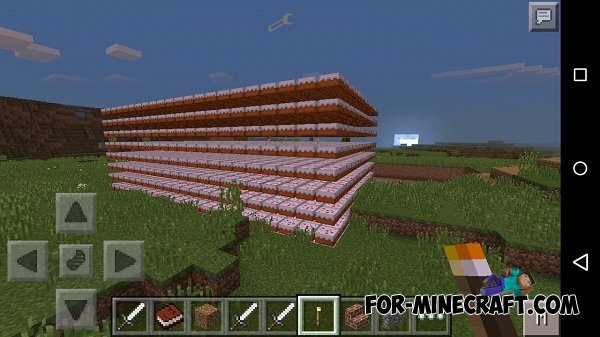 With this mode, you can easily create new interesting structures and modify existing structures. 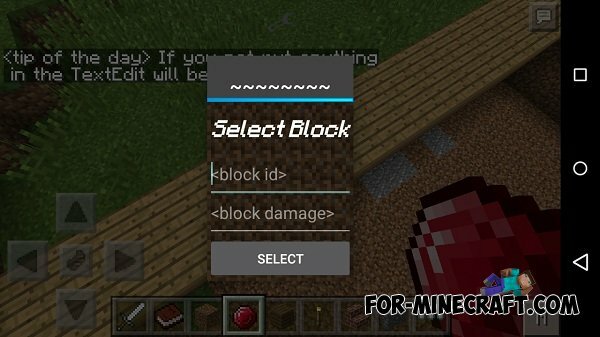 To create new structures you will have a set of special tools. 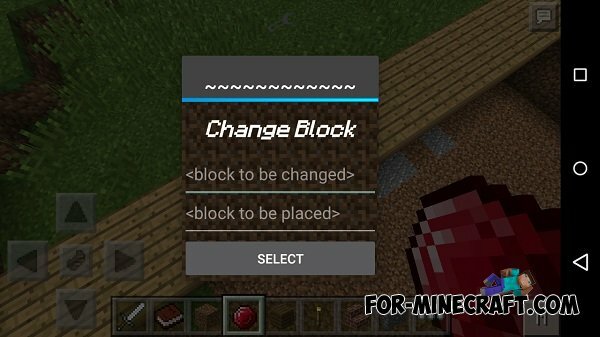 With these tools, you can easily change the blocks and create a unique construction. 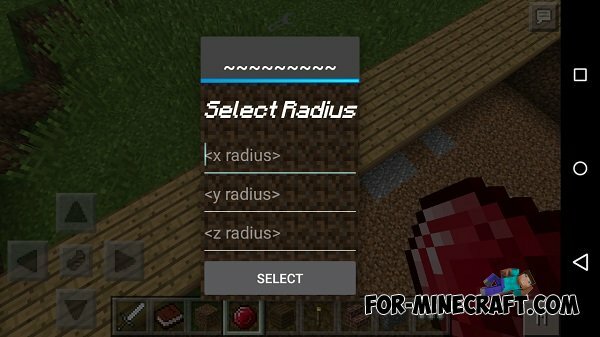 VoxelSniper mod for Minecraft PE«VoxelSniper» modification will allow you to create a variety of structures of various forms with a bow and arrows. 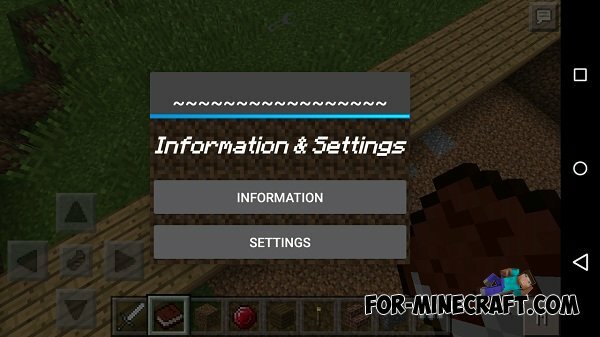 Power Tools mod v.3 for Minecraft PE 0.10.4With this mod you can use to create a unique and power tools. 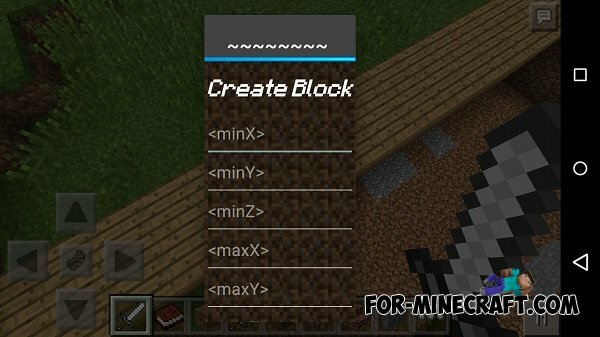 With these power tools you can several times faster to produce all the useful ingredients that you constantly need.